April can be an odd month weather wise. In the week leading up to the coach trip with Glasgow HF Outdoor Club, he weather had been fairly hot for the time of year, before turning steadily for the worse. Cold east winds chased the heat away so that by the time Saturday rolled around it was chilly with a forecast of rain. Not the ideal forecast for a day beside the seaside. 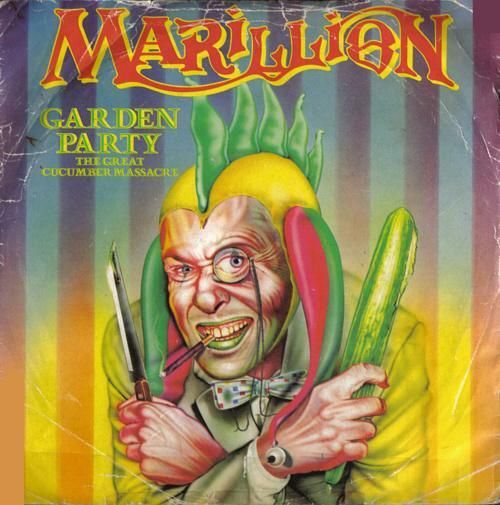 Buckets and spades were struck from the kit list, as were the sunglasses and suncream. Just over thirty of us headed up to Fife on the coach, and three walks were to take place, a shorter walk from Largo to Elie, and two longer walks of around 10 miles from Leven to Elie. 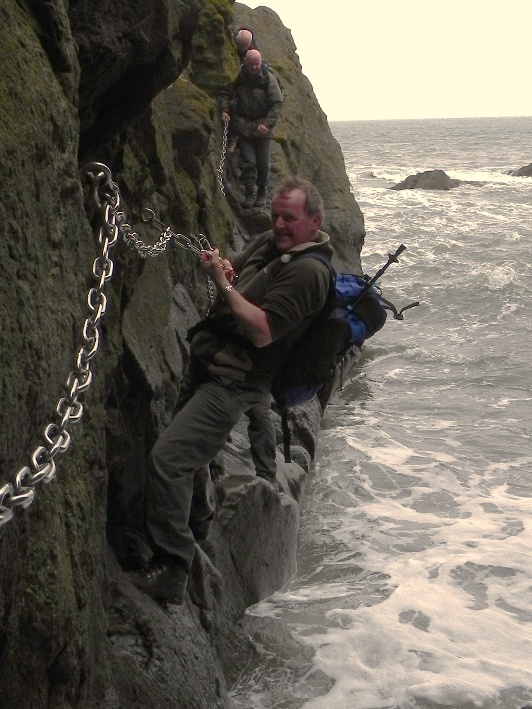 I was leading one of these which was to include Scotland’s Via Ferrata, the Elie Chain Walk. Even though I was leading this I had never walked the whole way, having only did sections at either end. The short section from Dumbarnie Links to the start of the Chain Walk was to me, as yet a mystery. Our coach dropped us off on the front at Leven, and two groups set off on our respective parallel paths along the coast. I stuck initially with the road to get to our first checkpoint- public toilets! Having gotten this important operation out of the way we hit the beach and began to head along the coast. I used to walk along this beach as a child and the trip from Leven to Largo would take hours it seemed. Stopping off at old military bunkers and rock pools, or playing in the sand and jumping on the old anti-tank defences, a short walk with an elastic timeframe. Now, leading a group of walkers who had no interest in playing in rock pools, despite me wanting to, it is easily done in under an hour. 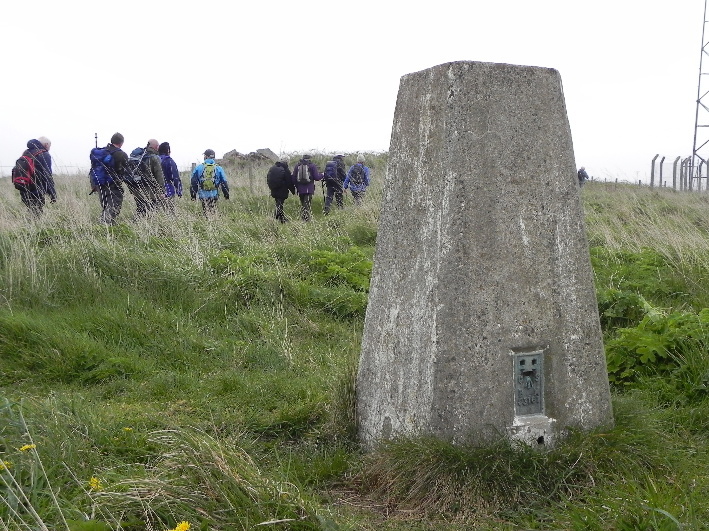 Navigation on the Fife Coastal Path can be fairly straightforward for most of the time. We kept the sea on our right and the land on our left and followed the signposts. We passed through Largo, past Alexander Selkirk’s house and the odd looking totem pole which decorates a small garden on the front. 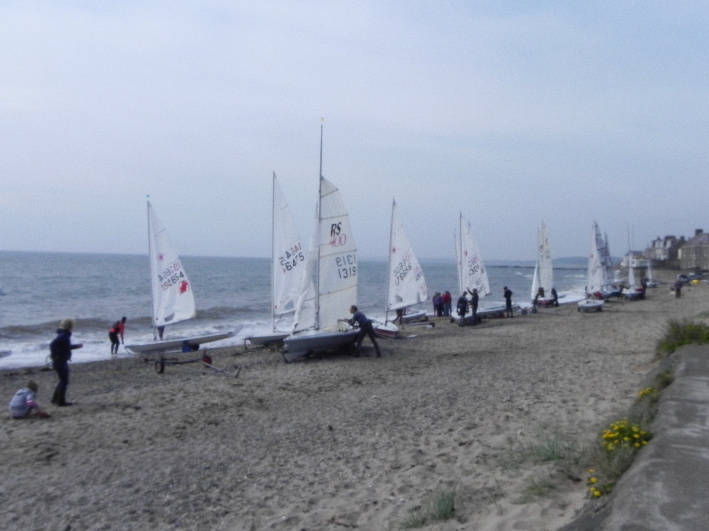 At the far end of the village a yacht regatta was in full swing, and we made this our first stop of the day. At Largo we met up with David, another club member who lives nearby. Club members come from far and wide and this was a rare home fixture for him. 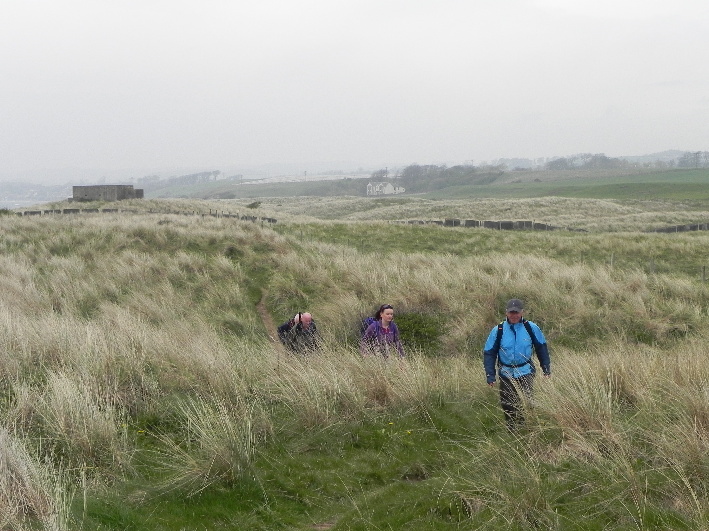 We set off again, firstly along the beach, then onto the high water coastal path which follows the old railway line to Dumbarnie Links nature reserve before it weaves along through dunes, and on past two more relics of the war. These defensive bunkers hold a commanding view along the coast, although they now serve a more peaceful purpose, serving as a nesting place for swallows and a roost for bats. The path now undulates along the top of the sand and marram grass dunes. The area is teeming with bird life. We are accompanied at a wary distance by a Stonechat, while further on Lapwings cavort in the air. Before reaching Ruddons Point the path suddenly turns inland. The way is barred by a small tidal basin and at low tide the Cocklemill Burn. Two footbridges help you cross without wading. This area is littered with tidal debris, and is regularly scoured by the sea, giving it the look and feel of a piece of semi-derelict industrial wasteland. Up ahead, tucked into the trees are the C party, already having lunch. It’s a decent spot, sheltered from the wind and affording us a view back along the route we have just come. The cloud has lowered now, and Largo Law has disappeared into the murk. The rain paid us a fleeting visit as we walked through Shell Bay caravan park. At the end of the park we pick up the coastal path again, and it’s not long before we see a small path branch off downhill to the start of the Chain Walk. A quick inspection reveals that the tide is still too high, there’s no way we can do it as a large channel of surging water lies in our path. As we have a fair bit of time on our hands I suggest we go along the clifftop coastal path before approaching it from the other end, and we agree to give it a try. Some of the group decide to leave and carry on with the other party, as it could be a bit more risky than they thought. Now down to five, from the original ten, we approached from the Elie side. The tide is still in, but I think it’s passable. I set off along the horizontal chains, the slack causing me to hang back from the rock. It’s hard going, the waves rushing at my feet. I’m fully aware that should I lose my grip I’m heading for a small narrow channel where the tide is pushing and pulling, and my equipment would make it difficult to swim. I grip the chain and shuffle along, before finally planting my feet on the shingle. he rest of the group follows on behind, until one by one we are all across. The rest of the walk is a lot more straightforward, vertical chains being far easier to handle than horizontal ones. The rocks are still wet though, and its not all plain sailing, with plenty of scope for slipping if we aren’t careful. By now the tide has gone out sufficiently that we can walk along a short section which lies at the foot of columns of basalt. The pebbles here are black when wet, drying to grey, and they make a strange cracking sound as the tide moves them around, rolling around in the sea as though trapped in a huge washing machine. Having negotiated all the chains bar one, we found ourselves at the channel which first blocked our way. It’s now just passable, and our patience is rewarded as we negotiate it and gather at the sign marking the end of the Chain Walk. At this point we are joined by a group which followed hard on our heels, and discover that they are led by Jamie Smith, club development officer for the Mountaineering Council of Scotland, of which Glasgow HF are affiliated. We chat for a few minutes, and after taking a few photos of his group to email to him later, we are on our way along the cliff tops for the second time, passing more remnants of the Second World War. 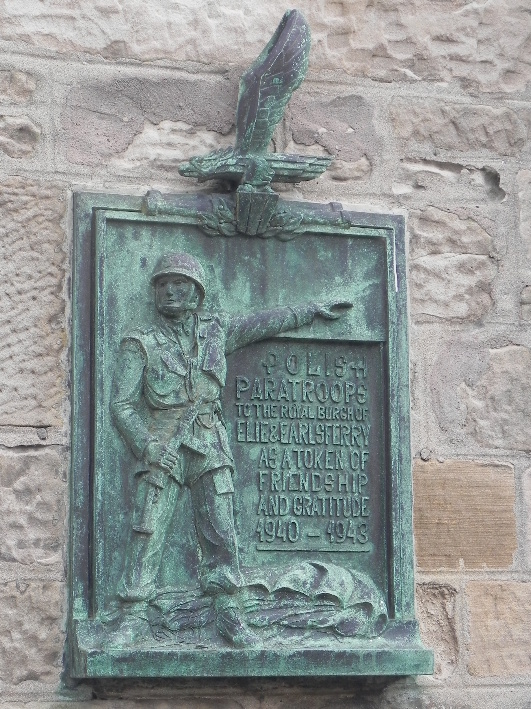 Much of these defences were built by Polish troops, and as we pass through Elie I spy on an impressive plaque gifted to the town by Polish paratroops. The promised rain puts in a brief appearance, but too late to dampen our spirits, and we march on. Having had to wait for the tide we are now tight for time. The coach is due for a five o’clock departure, leaving only time for a quick beer as the football results roll in, in a bar decorated with photos of the town when the railway was still here. Perhaps it will return. I’m sure I will. Your trip looked like a good day out, and yet I felt uncomfortable about your organisation of it as its leader. Whilst risk is relative and you were all consenting adults, from your description and photographs I think that you exposed the group to unnecessary risk. I guess what first struck me was that the folk on the Via Ferrata all had all of their rucksack straps fastened. It is your kit strapped from your back that will severely limit your ability to stay afloat. On my Fast Water Training, under controlled supervision in managed waters, we attempted to swim, in relatively slow moving deep water, with rucksacks fastened to our backs. Many of the group failed and had to be recovered from the water, and whilst I managed the expenditure of my energy was phenomenal and I would not have kept it up for long. Even more difficult, was attempting to remove the fastened rucksacks once in the water. It brought home to me that walking boots and outdoor clothing in itself is enough to make swimming safely dangerous. If it is essential that rucksacks are carried by a person exposed to the threat of water, ideally they should not be fastened, instead carried loose with both shoulder straps secured. It movement is such that they do need fastening they should only be secured at one point, preferably a strap near the top of a person’s chest. Other considerations, and ones which you may have discussed with the group, I don’t know, was the use of helmets, I saw none in the photographs. For me these are a must in this situation, not just preventing head injury from falling against the rock, but also if actually in the tidal water of being bashed against the rocks. Plus some sort of gloves are a must. Wet steel and human flesh does not make for a secure grip and as hands get cold their ability to grip dramatically reduces. In addition, simply wearing gloves would also protect them from abrasion and cuts caused by areas of rough rock. Knowing tide times is essential when climbing close to water and there are so easy to obtain, even in situ on a smartphone www.bbc.co.uk/weather/coast/tides and it is not just for when the tide is in. when travelling across any area of land subject to the ingress of water you need to know when this occurs because if a member of your party is injured and unable to move you know the timeframe that exists to evacuate them, which will determine how you do this, either waiting for a HMCG Rescue Team or attempting to move the casualty yourselves, the latter which can add to the casualties injuries. Smaller points, yet cumulative risk factors, are to tell participants to always face the rock and keep both hands on the chain and when ascending/descending keep the chain between your legs. All of the above are not arduous measure to implement; instead they are simple measures, which anyone can take, that can make the difference between life and death. Whilst your trip is over Jester and everybody arrived home safe and well, I would advise anyone else attempting to traverse this Via Ferrata to take my advice into consideration. Some interesting points there Lyle. I was wearing gloves from the start, the others did so after the first chain. You need something with a bit of grip, leather I find is good for that. You are possibly right about helmets. We are doing scrambling later in the month and I will be recommending the use of helmets. Having said that I am not going to force people into using them. 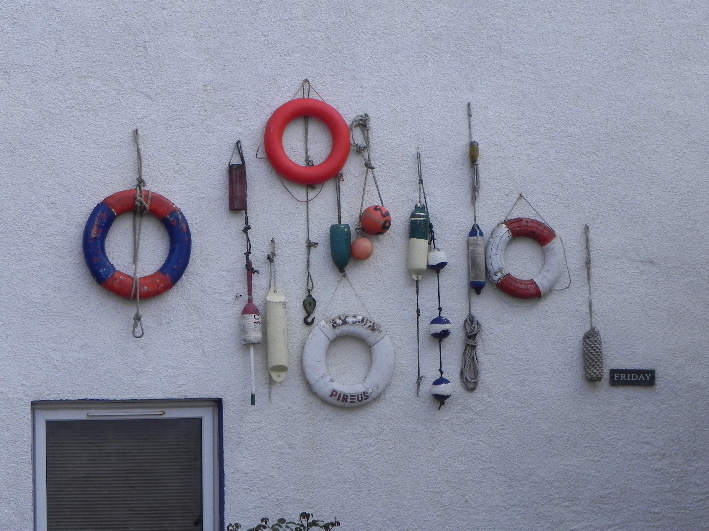 We were well aware of the tide times, having checked a few days beforehand, However the trip is done as part of a coach trip, and the date was fixed last November, so that makes it a bit harder to plan. Had the water been too high (it had been high tide at 1206, we attempted it at 1400-ish) then we would simply have missed it out entirely. By walking on and waiting a bit it passed the time and allowed us to complete it. While most of the walk is clear, the two channels at either end are the key points. If you can get past one, you can do almost the whole walk and if the last one is still blocked, return the way you came. The first time I did it I returned back over the chains. It's an interesting point about the rucksacks straps. Before moving I made a decision as regards my own movements, and I personally prefer equipment tight, with no straps hanging to snag on anything. From another angle you will see the channel we were adjacent to, and I felt that I would prefer to attempt to ditch my gear if I went in, than try to swim with it. Two clicks and the bag is gone. Thx Jester, a nice trip report. 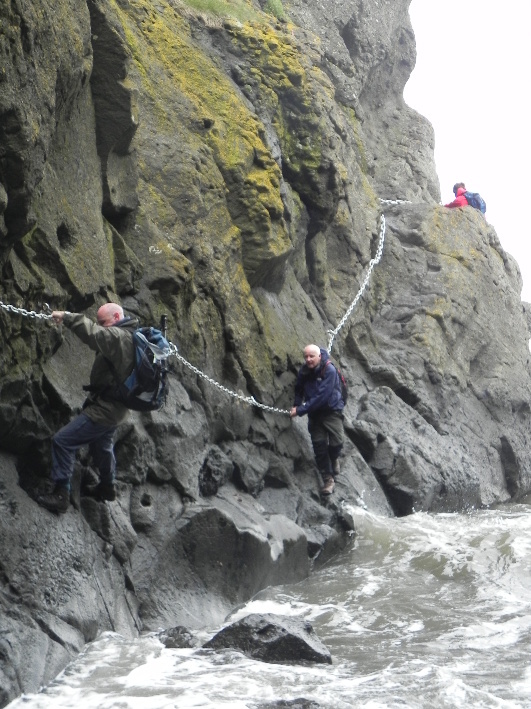 I had no idea that Scotland had its very own Via Ferrata, and a coastal cliff one at that! I have walked parts of the coast path in fife, immediately north and south of RAF Lucas (St Andrews) and visited some of the more popular fishing villages, of which my two favourites are Lower Largo, the birthplace of Alexander Selkirk, the character who Daniel Defoe based his ‘Robinson Crusoe’ and nearby Earlsferry, said the hiding place of MacDuff in Shakespeare's Macbeth. Both of these coastal villages tend to be less busy than the tourist haven of Anstruther, with its traditional cobbled old streets and labyrinth of alleyways and wynds. Oh, and a great local beer, by a young guy from St Andrews: St Andrews Brewing Co., its IPA is CAMRA's 2014 Champion Bottle Beer of Scotland. They have only been going a couple of years and already produce a range of 7 beers, plus some seasonal offerings. My other find of our eastern coast is also very good and reflected in some of your photos Jester, the cleanliness of the beaches are in comparison to their litter strewn counterparts on the west of Scotland, where plastic detritus washed up from the sea has almost become an ever present problem. When manoeuvring over water, fastening the rucksack buckle, if it is fastened at all, at chest height is a good idea and not one I had thought of. From our experience at our Centre is that so called quick release toggles vary in performance by rucksack, many being anything but quick. We decided that the rucksacks which we issue, which have changed over the years, would all have the 60mm British forces quick release buckle, for those interested NATO Stock no 8315-99-464-6606 They are very strong, large enough for gloved hands to easily operate we have and not one had broken since we started using them 6 years ago. When TVMRT (Tweed Valley Mountain Rescue Team) celebrated its 40th year since it was created, I arranged for us to have a weekend in the Lakes, and part of the jolly was to climb the Honister Slate Mine’s own Via Ferrata. The type of damage many of the karabiners, being given to visitors, had – not acceptable. Part of the climb includes a Zip Wire (this is where you attach yourself with your Karabiner to a wire suspended wire over a void, then slide across, like a fairground ride, to the other side) and the karabiner they wanted to issue us with had been used so many times, the metal had been worn away to a dangerous level, again, fortunately, we most of us had our own. When I raised this issue with the guys they said we would need to speak to the management. The Via Ferrata is fun, with a couple of exposed areas, and easy to ascend. When we reached the top, we walked back down and visited the mine, very interesting and worthwhile. And that night in the pub we waxed lyrical about the day. The state of the karabiners bothered me and I wrote to the mine’s owners only to get no reply, so I then wrote the H&S Executive who said they would look into it.